June 2013 | Manny Vergel spaces out! There are secret words to make things fall in WeChat app. 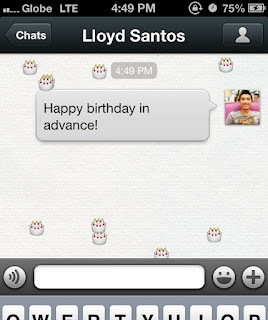 This is like an easter egg feature of the app which makes wechat more fun to use.